Even if the term “open access” is not in your working vocabulary, you almost certainly understand the phenomenon of open access, or free online availability, as well as its opposite, placement behind a paywall. Of course, an enormous number of news articles, blog posts, and cat videos are freely available online, but “open access” is not usually used to describe those kinds of online offerings. Rather, the conversation about open access centers on research and academic works—journal articles, scholarly books, textbooks, and dissertations—which are usually available only for a fee. Most social action for open access has focused on scholarly journals, largely because many journal subscriptions are wildly expensive, out of proportion with the costs of publishing. In 2012 the Economist reported, “Publishing obscure academic journals is that rare thing in the media industry: a [license] to print money.” Indeed, seemingly arbitrarily high subscription prices that increase year after year have left readers, libraries, and universities feeling gouged. Furthermore, many authors wish to dissociate themselves from commercial publishers that make huge profits from nonprofit institutions, preferring to participate in a publishing system that better connects readers with research and is more consistent with their values. For these reasons and more, journals are a natural starting point for an upheaval in the academic publishing industry. Historically, publishing scholarly journals was a slow and expensive business. Authors, editors, and peer reviewers were generally unpaid, so content was cheap, but production and distribution were labor-intensive and costly. 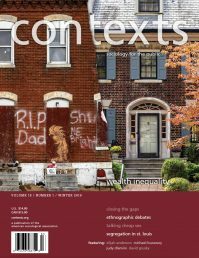 Also, because each issue was limited in length, articles could often not be published as quickly as they were accepted, so many journals had article backlogs, which resulted in long publication lags. These delays frustrated authors and readers, and slowed the pace of scholarly dialogue and discoveries. The word “publish” derives from the Latin verb publicare, which means “to make public.” And indeed, the point of publishing journals has always been to make research results public. Until recently, we used the best technologies we had (the printing press, the postal service, etc.) to make journal articles as publicly available as possible. We no longer do. These days, the content creators (academics) are still unpaid, and most journals are online, stored and transmitted inexpensively, and formatted quickly and easily, with a readership brought in by Google and other tools. But these cost-saving changes have not led to lower journal prices. Rather, the old-fashioned system of paying dearly for journal subscriptions continues, unjustified by the costs of journal production. And, frankly, with Internet technologies offering inexpensive and improved publishing possibilities, we pervert the meaning of the word “publish” by adhering to traditional journal publishing mechanisms. However, we—readers, authors, peer reviewers, editors, and librarians—can change the system through our reading and writing choices. We can force the system to modernize and turn it into a better, truer engine of publication. When we do, we can achieve widespread open access to journal literature. There are two ways for an author to make a scholarly article open access. The first, widely known as “gold” open access, is to publish it in a journal that is itself open access—that is, the publisher immediately and permanently makes the journal’s articles freely available online. There are many open access journals—the Directory of Open Access Journals (DOAJ) lists almost 10,000—published by many kinds of entities, including universities, commercial publishers, scholarly societies, and professional organizations. Of course, publishing a journal does cost money. If a journal’s articles are free to read, how are those costs covered? There are a variety of business models for open access journals, including volunteer labor, institutional subsidies, advertising, and the sale of print or premium editions. Another cost-recovery method is charging authors publication fees—having the authors of accepted articles pay to have their articles appear. (Keep in mind that many subscription-based journals also levy hefty fees, often charging authors by the page or illustration.) Ideally, and at all reputable open access journals, acceptance is completely independent of payment, and some journals waive their fee for authors who cannot afford them. According to DOAJ, only about one-third of open access journals charge publication fees. Nevertheless, concern and outrage about fees sometimes dominate the conversation about open access. Researchers who have large grants or work at institutions that cover fees for their employees can easily pay, but many scholars, especially those in the humanities and social sciences, are not so lucky. They understandably bristle at the prospect of paying publication fees, sometimes well over a thousand dollars, from their own pockets. The explosion of so-called “predatory” open access publishers— unscrupulous, obfuscatory publishers driven only by profit, not the advancement of knowledge—has also made many researchers wary of fee-based journals. Unlike reputable open access journals that charge fees to cover expenses, predatory journals charge fees expressly to make money and then also, secondarily, publish articles, many of questionable quality. Although they claim to subject submissions to rigorous peer review, in actuality they publish almost any article whose author is willing to pay their fee. Predatory open access journals are a blight on the scholarly communication landscape, but they make up only a small fraction of open access journals and are reasonably easy to spot. (Hallmarks include failure to post clear peer review or fee policies, misrepresentation of their geographic location, and a suspiciously broad scope, and they are also known to spam researchers with fawning solicitations.) Most open access journals are genuinely dedicated to advancing knowledge, and many are highly respected in their fields. Remember that a journal’s quality is independent of its business model, and do not let predatory journals sour you on open access more generally. Another path to open access is called “green” open access, achieved when an author uploads a work to an open access repository hosted by the author’s institution or a disciplinary repository such as the Social Science Research Network (SSRN). Although many authors do not realize it, most journals allow authors to self-archive some version of their article, either the original submission, the edited text, or the journal’s final formatted version. Furthermore, many agencies and institutions have policies that require the researchers they fund or employ to make their articles open access within some fixed amount of time; these policies help make many thousands of articles open access every year. Some publishers reject such policies and lobby against legislation to ensure that taxpayers have access to the research they fund, but their arguments are transparently self-serving and unlikely to prevail in the end. Right now, green open access is spotty—common and even de rigueur in some fields, but far from universal and not yet leading to reductions in subscription burdens. However, as more researchers and institutions actively support open access, self-archiving will spread. One hope is that green open access will become so prevalent that subscription-based journals will be pressured to lower their subscription prices or change their business model. As I noted previously, journal publishers do not pay their authors, so authors do not lose any income by making their works freely available. In fact, they stand to benefit from open access: When articles are easy to find and free to read, they attract more readers, generate more discussion, and get cited more in later articles. Of course, authors aren’t the only beneficiaries of open access. When journal articles are freely available, students can better master their fields; scholars can better perform their research; and teachers, doctors, policy-makers, and journalists can better perform their jobs. As a result, everyone benefits, even those who do not themselves read the articles. Well, not quite everyone. Not surprisingly, many subscription-based journal publishers are less than enthusiastic about open access. Large for-profit journal publishers worry about maintaining their profit margins—which in some cases approach 40%. No scholars I’ve met feel any obligation to support this for-profit platform. However, nonprofit scholarly societies also worry about losing their membership dues or subscription income, which often fund other areas of operation. This is an enterprise that many scholars care deeply about and do not want to jeopardize. Regardless of profit orientation, all publishers realize that they depend on and cannot alienate authors, who increasingly care about making their articles as accessible as possible and preserving the right to share them online. Ignoring for now the fate of high-profit commercial publishers, what can scholarly societies such as the American Sociological Association do? 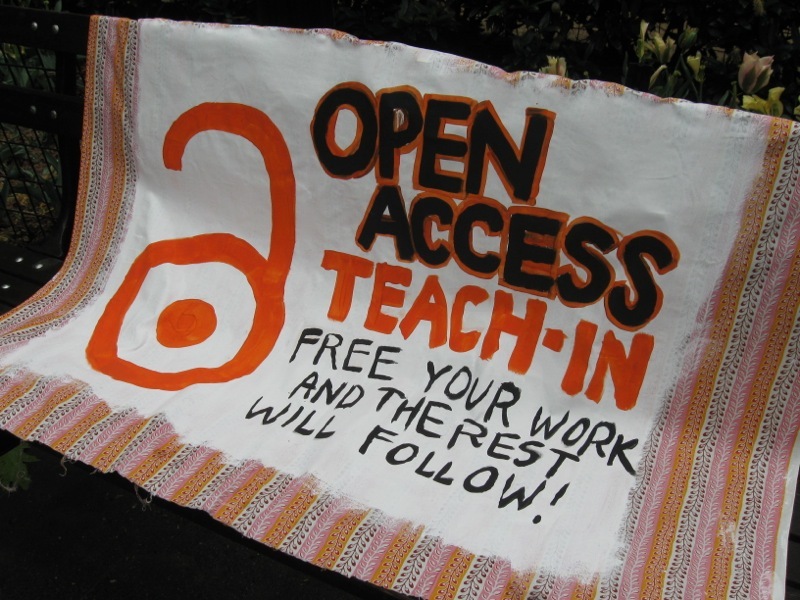 How can they embrace open access and stay financially afloat? These organizations may need to strengthen offerings other than publications. According to Kathleen Fitzpatrick of the Modern Language Association in her “Statement on Public Access to Federally Funded Research,” a society’s value “may be moving from providing closed access to certain research products to instead facilitating the broadest possible distribution of the work done by its members.” This change, Fitzpatrick says, would alter both the work of societies and what attracts members to them; she envisions a future in which “rather than joining in order to receive the society’s journal, one instead joins a society in order to get one’s own work out to the world, surrounded by and associated with the other work done by experts in the field.” For this to happen, professional scholarly associations may need to re-orient their activities more directly toward engagement with colleagues and experts as a perk of membership rather than rely on journal subscriptions or discounts as their draw. Both gold and green open access have the potential to revolutionize scholarly communication, but they both preserve the traditional notion of a scholarly journal as a container for articles. Nothing is necessarily wrong with that model, but it does not accommodate all methods and modes of modern scholarly communication, which include data sets, data visualizations, digital tools, and other non-article offerings. Therefore, open access may be just part of the overhaul required to optimize scholarly communication. In the future, journals may evolve or be replaced by other communication vehicles. But, regardless of the future form of the journal, the accessibility of journal literature will change. In fact, it already is changing. According to a report prepared for the European Commission, approximately half of all articles published in 2011 are now open access. Some say open access is a moral imperative. Some say it’s an inevitability. I’ll simply say that it’s far preferable to paywalls. And that it’s happening. Jill Cirasella is the scholarly communications librarian at the Graduate Center of the City University of New York. Her expertise includes science librarian-ship, peer mentoring, and evolving modes of scholarly communication.